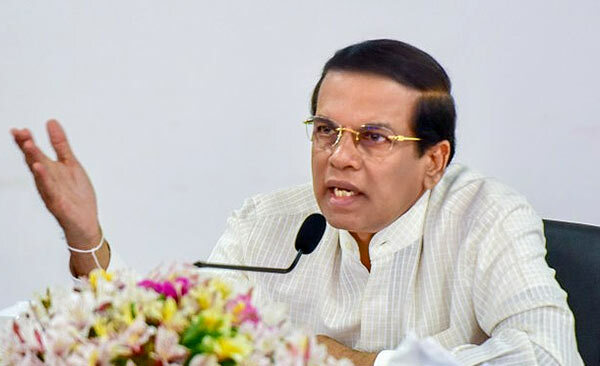 President Maithripala Sirisena has raised concerns about the mushrooming of Chinese shops throughout the country, at the recently held Cabinet meeting. Chinese shops have increased in numbers in Colombo and Kandy and convening of Chinese shop owners to Sugathadasa Stadium on Tuesday (06) is an disadvantage to the local shop owners, President has told the Cabinet. The actions taken by the former Minister of Finance has distanced the minor shop owners of the country from the government with displeasure, he has further told the Cabinet. Meanwhile, Prime Minister Ranil Wickremesinghe has reminded that opening of Chinese shops had begun from 2001. What’s the problem, my dear Prezi? Your Yahapalana Govt shamelessly sold the Hambanatota Harbour to the chinks for peanuts. Why get upset over Chinky traders? They have been with us over 100 years producing noodles, Chinese eateries and cloth shops. So, ask the locals to copy them. They are rather successful globally. It’s true what the President says. You see Chinese Restaurants in every road or lane in SL. The main menue is Fried Rice which the Chinese do not eat. Also all owned by unqualified kottu specialists.